Polished Stainless Steel or Black Finish: 304 Stainless Never Rust or Black Powder Coated Finish. 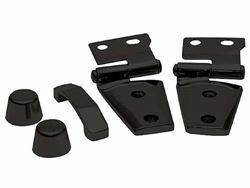 Will fit 78-95 Jeeps: Complete hood kit fits 1978 to 1995 Jeep CJ and Wrangler. 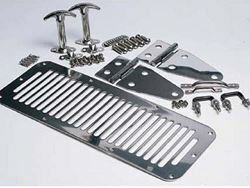 Complete Kits: Includes hood hinges, windshield tie down kit, hood vent, footman loop and hood catches. Rampage Warranty: Rampage stainless steel products feature a limited lifetime warranty and black powder coat products feature a 1 year warranty. Finish the custom look of your Jeep with a complete hood kit from Rampage. Rampage includes hinges, windshield tie-downs, a hood vent, a footman loop, and hood catches. 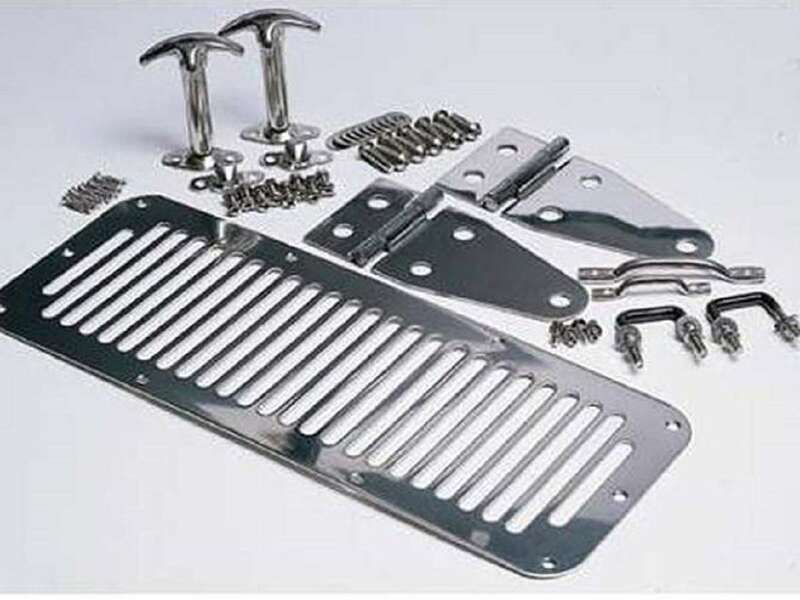 Rampage makes these hood accessory kits available in black or stainless steel finishes. The hood kits use all your factory mounting points, so installation is simple and easy with all necessary hardware included. Rampage has hood kits available for most CJ and Wrangler model Jeeps. Rampage offers a lifetime warranty on all of their stainless steel accessories and a one year warranty on all of their black items.